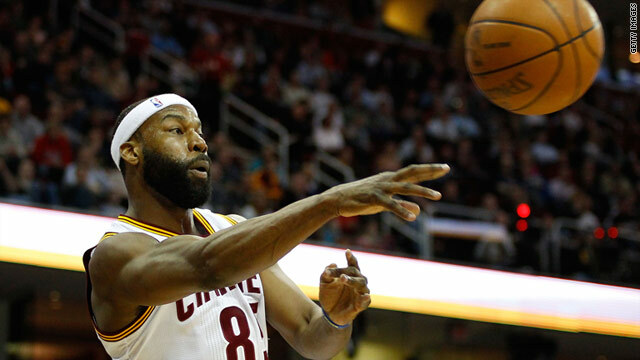 Baron Davis of the Cleveland Cavaliers, which won the No. 1 pick in the NBA draft late Tuesday. (CNN) -- Redemption came quickly for the Cleveland Cavaliers in Tuesday's NBA draft lottery. Last year, the team lost its franchise player and first overall pick in the 2003 draft: LeBron James. As King James rose to the second-best record in the Eastern Conference with 58 wins this season, the Cavaliers slipped to the worst record in the conference winning only 19 games. But Tuesday night, Cavs fans found something to smile about again. They won the number one pick in the NBA draft. They also earned the fourth pick in the draft, a development that could make Cleveland a major player again. The draft order is determined by lottery among the 14 teams with the most losses. The televised event turned bars in downtown Cleveland into church revivals. "Would never have thought it was a possibility," Campy Russell, a former Cavaliers player told CNN affiliate WEWS. "For the faithful, this is a great day." Cavaliers owner Dan Gilbert said the pick will bring hope to fans who were crushed by James' announcement last summer that he would leave the team for the Miami Heat. "It has been a roller coaster ride. Obviously shocking events took place last summer for not just myself, but a lot of people in Ohio. It was a slow, long and painful haul to get through it, and maybe this will be the final straw of getting over the hump and getting to the other side and having a lot hope for the future, and that's what we need," Gilbert said. Gilbert had a completely different tone last summer after James announced he was taking his "talents to South Beach." At the time, Gilbert called James' decision a "cowardly betrayal" and a "shocking act of disloyalty." In a statement he released, he added -- in all capital letters -- "I PERSONALLY GUARANTEE THAT THE CLEVELAND CAVALIERS WILL WIN AN NBA CHAMPIONSHIP BEFORE THE SELF-TITLED FORMER 'KING' WINS ONE. You can take it to the bank." Tuesday's draft lottery may have moved the Cavaliers closer to Gilbert's guarantee.